Peter L Berk joined the Bar of the State of Illinois and the United States District Court in 2001, and immediately began serving the needs of financially distressed businesses and consumers in the Chicagoland area. The foundation for Mr. Berk’s practice was formed at Loyola University of Chicago School of Law. As staff editor of the Loyola Consumer Law Journal, Mr. Berk demonstrated a strong interest in consumer rights and affairs. Also at Loyola, Mr. Berk was recognized for excellence in legal writing. In 2001, Mr. Berk began his legal career as an associate with the Chicago law firm of Morgan & Bley, Ltd, where he practiced in the areas of bankruptcy, civil rights, and complex litigation. 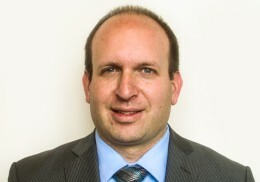 At Morgan & Bley, Mr. Berk worked to reorganize small businesses in Chapter 11, obtained bankruptcy relief for many consumers, represented individual police officers in a well-publicized lawsuit against a municipality in the Chicagoland area, prosecuted and defended defamation actions, and engaged in other general litigation matters. In 2003, Mr. Berk transitioned to the law firm of Evans, Loewenstein, Shimanovksy & Moscardini, Ltd as an associate attorney. At Evans, Mr. Berk continued his representation of consumers and businesses in bankruptcy proceedings. In addition, he served as a staff attorney with Pre-Paid Legal Services, Inc., now known as Legalshield, Inc. ELSM is the provider firm for all of the 50,000+ Legalshield members located in the State of Illinois. Mr. Berk has been recognized by Legalshield for providing outstanding service to its members. At ELSM, Mr. Berk expanded his practice to include real estate. Today, Mr. Berk continues his relationship with ELSM as Of Counsel. Mr. Berk opened the Law Office of Peter L. Berk in August of 2006. On June 1, 2015, Mr. Berk merged his practice with Douglas Rivera and Kathleen O’Keefe-Rivera to form O’Keefe, Rivera & Berk, LLC. With O’Keefe, Rivera & Berk, LLC, Mr. Berk has continued his philosophy of providing nothing but the best possible client service. Mr. Berk’s current practice focuses on bankruptcy, real estate, and civil litigation. With respect to bankruptcy law, Mr. Berk has a wealth of experience. He has successfully obtained discharge of millions of dollars of consumer and business debt for his clients. Mr. Berk has also successfully litigated bankruptcy matters for both Debtors and creditors, including trial work. Mr. Berk’s real estate experience has included a wide array of successful transactions, from multi-unit apartment buildings, to auto repair shops, to single family homes, to condominiums. Mr. Berk specializes in closing short sale transactions. Mr. Berk is a member of the Illinois State Bar Association and the Chicago Bar Association Bankruptcy Panel. Copyright 2015 O’Keefe, Rivera & Berk, LLC. All Rights Reserved. The Supreme Court of Illinois does not recognize certifications of specialties in the practice of law. Certification is not a requirement to practice law in Illinois.